Poems, Quotes and Short Stories - Navneet Singh Chauhan: Shree Atal Bihari Vajpayee..! - My Political Role Model. Today is the Birthday of my political Role model, and so I dedicate this post to the great soul, "Shree Atal Bihari Vajpayee". Born on 25th December 1924, Atal Bihari Vajpayee had contributed a lot to India's Progress. He has given Indian Politics a new Face, He was one of the most key person of founding team of BJP (Bhartiya Janta Party). 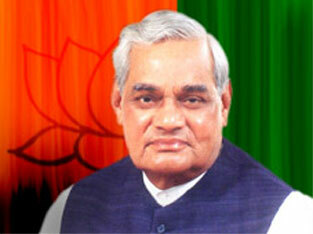 Atal Bihari vajpayee-ji remained Prime Minister of India from 1996-2004. Apart from being political hero he is one of the greatest writer born on Indian Soil. I love him both as a political leader and a writer. I fear i could not describe a legend in this small space..! Will share few of his glimpses. In 1957; Atal Bihari Vajpayee ji was first elected to the Lok Sabha, the then prime minister Jawaharlal Nehru was so impressed by the oratorical skills of Vajpayee that the former commented to his fellow parliamentarians that this young MP would lead the nation one day. After 23 Years of active politics, Atal Bihari Vajpayee, along with many BJS and RSS colleagues, particularly his long-time and close friends Lal Krishna Advani and Bhairon Singh Shekhawat, founded the Bharatiya Janata Party (BJP) in 1980. With his hard efforts BJP became one of the strongest political party and was elected in 1996 elections but could not appear as a majority. Asked to form the government, Atal Bihari Vajpayee was sworn in as Prime Minister, but the then BJP Government (Bhartiya Janta Party) failed to gather enough support from other parties to form a majority. Vajpayee resigned after just 13 days, when it became clear that he could not garner a majority. After the fall of two governments by the third-front between 1996 and 1998, the Parliament was dissolved and fresh elections were held. These elections again put the BJP at the head. This time, a cohesive bloc of political parties lined up with it to form the National Democratic Alliance (NDA), and A.B. 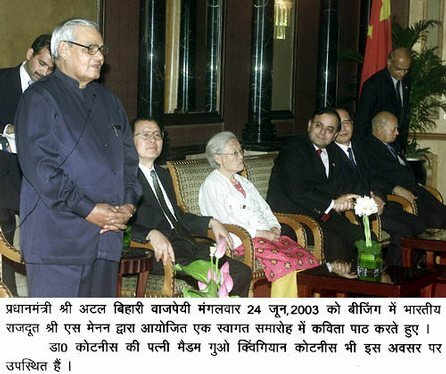 Vajpayee was sworn in as the Prime Minister. The NDA proved its majority in parliament. Towards the end of 1998 however, the All India Anna Dravida Munnetra Kazhagam (AIADMK) under J. Jayalalitha withdrew its support from the 13-month old government. The government lost the ensuing vote of confidence motion by a single vote. 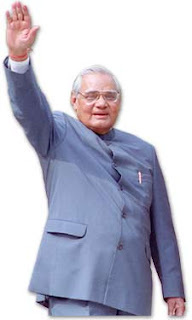 As the Opposition was unable to come up with the numbers to form the new government, the country returned to elections with Vajpayee remaining the "care-taker Prime Minister". Again BJP won elections and this time Atal Bihari Vajpayee remained for full five years from 1999-2004. In these 5 years Atal Bihari Proved the nation what all good governance is. 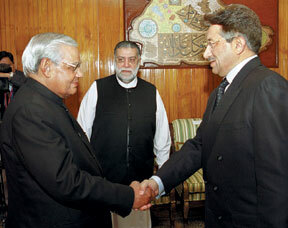 He also tried a lot to make good relations with Pakistan. But all got in vein as Pakistan was still not ready to come on the right path as Pakistani Army along with its Terrorist Force conquered Drass- Kargil in 1999. Indian Military gave a strong answer to this, with its operation Vijay. And Pakistani Army along with its terrorist force (funded by Pakistani army) have to go back to their territories. Though India did not conquered back POK (Pakistan Occupied Kashmir) which is India's Territory which Pakistan seized up after Independence, This was the third time India left away Pakistan and did not crossed the line of control. As it pardoned again 'the terror lead Pakistan', before this it did pardoned Pakistan in the war of 1965 and 1971 (War Pics of 1971). 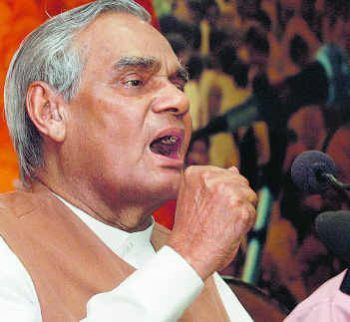 Atal Bihari lead government also showed world the power of INDIA by successfully testing Nuclear Bombs, which became a point of talk for some time, but then India promised the world, it will not be the first to use Nuclear bomb in the war. Two more big things which the then BJP government had to tackle was the hijack case of Indian Airlines flight (IC 814) and Attack on Indian Parliament by Pakistani army guided Militants/Terrorists. Apart from this, The government lead by Atal-ji did a lot of economic reform, one of them being, National Highways Development Project, Foreign policy was also revised. But in 2004 elections BJP lost its seats despite good work of Atal-ji. Congress came back in to the power. 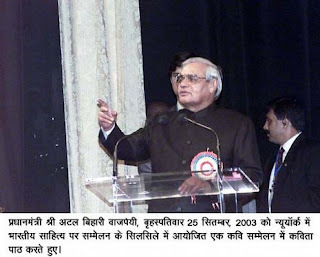 In December 2005, Vajpayee announced his retirement from active politics, declaring that he would not participate in the next general election. This was perhaps the end of his major political role though he has been constantly guiding the BJP and Youth. Apart from Politics I am his big fan for his write ups. In the above pic, Shree Atal Bihari Vajpayee Ji is Singing Poem in New York on 25th September 2003. I still remember one of his poetry which he composed after loosing 2004 elections. I will like to mention it here. Rah Kaun Si Jaaoon Mai? Chaloon aakhiri chaal ki baazi ya chhor virakti rachaoon mai? Madhu ritu mein hi bagh jhar gaya, Tinke bikhre hue batoroon ya nav srishti sajaoon mai? Kshan-kshan ka hisaab joroon ya punji sesh lootaoon mai? What Road Should I Go Down? Do I make my final move, or do I withdraw from battle? Do I gather these scattered leaves, or do I fashion a new universe? what little remains? What road should I go down? - Shree Atal Bihari Vajpayee..! His yet another and perhaps most popular work is "Amar aag Hai". It is particularly more famous among BJP and RSS activists. His yet another work is "Aao Phir se diya jalaye" is a very motivational poem. His Work, "Geet Nahi Gaata hoon and " Geet Naya Gaata hoon" are worth reading..! His work "Ek Baras Beet Gaya" (One Year Completed) perhaps he wrote this after completion of one year as Prime Minister of India. "Aaao Man Ki Gatth Khole" is yet another Motivational work..! These are few of his Best poems. I have also sung one of his poem in my school in 8th class and I got too many claps for it. Unfortunately I could not get that poem here on web right now, it was something related to Himalayas and its strength and lessons to learn. If you know please share, and in case I get it I will update this post for sure. Atal Bihari Vajpayee will always remain in my heart as one of the best prime minister of my generation. I think the poem which you are looking for is --Unchai-- It is available on net .